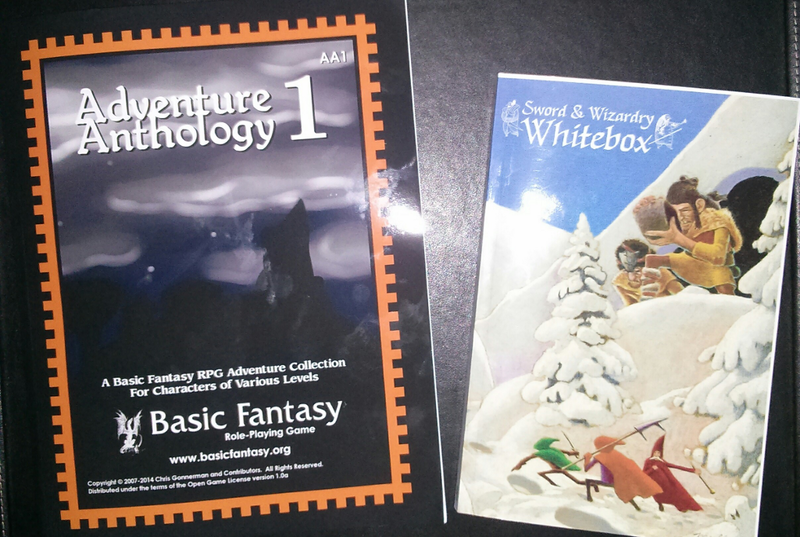 Got some more loot in the mail today, the BFRPG Adventure Anthology 1 (this is only $3.75 at Amazon!) and the French translation of S&W Whitebox. 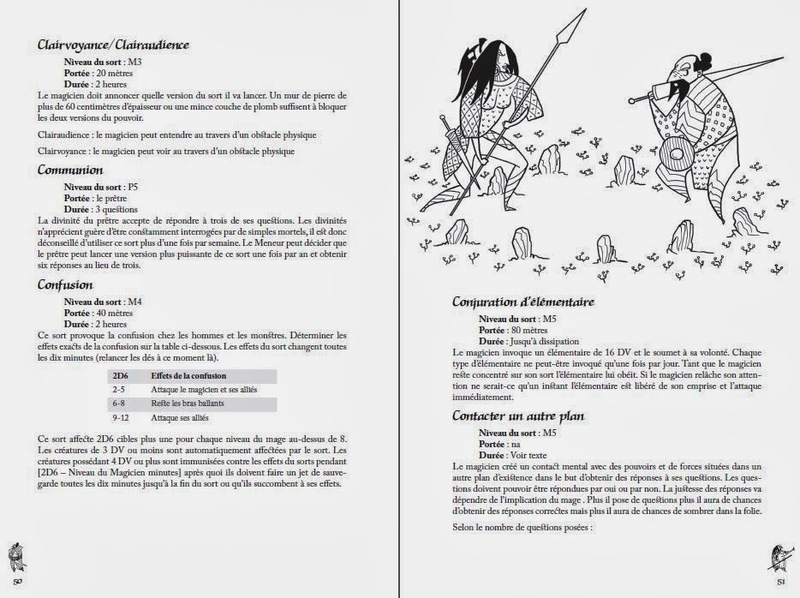 I can read French passably, and this edition has all new art and a few extras, like a translation/adaptation of Matt Finch’s “A Quick Primer for Old-School Gaming” (Petit Guide du Jeu de Rôles à l’Ancienne), new encounter tables, and optional Dwarf and Halfling race-as-classes to go along with the Elf-as-class that is in the English version. Here is some of the new art in the French version, this is from the author’s blog, as the art is only in the printed copy. The no-art PDF is available for free download.